This post contains affiliate links including Amazon affiliate links. Each month I try to do a giveaway to thank you for being a fan of my site. This month I teamed up with friends to bring you a Vitamix giveaway!!! 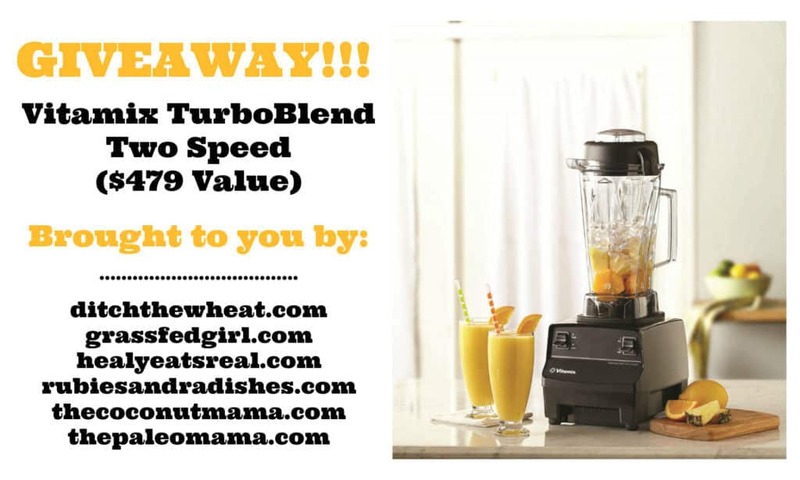 We are giving away a TurboBlend Two Speed Vitamix valued at $479 (you can read about it on Amazon here). These Vitamixes are so expensive I don’t even own one but you have the chance to win one. 1. Click here to subscribe to the Ditch the Wheat newsletter. You have successfully joined our subscriber list. Directions for how to enter the giveaway will be sent to your email address. 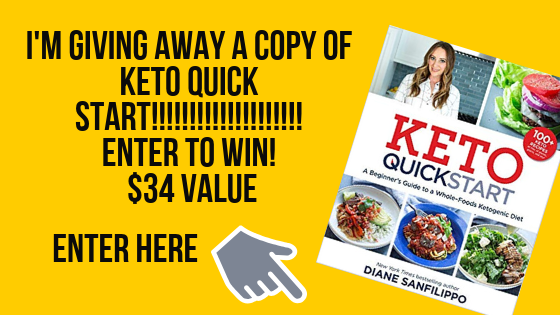 WOULD YOU LIKE A FREE KETO DESSERT COOKBOOK???? 2. Use the Rafflecopter widget at the bottom of this post to confirm these entries and unlock even more entries to increase your chances of winning! All entries will be verified. This contest will be open until 6/30/2014 at 12am. This contest is only open to U.S. residents. The winner will be announced on all of the blogs mentioned above by July 2nd, 2014. The winner must claim his/her prize within 48 hours after he/she is announced. There is no purchase necessary to enter the giveaway. None of your information will be shared or sold to any third parties. I pay for these giveaways myself. These links are affiliate links meaning that I may receive a small commission if amazon makes sales from the resulting clicks. This will not change to the price of any amazon items for you. I only link to affiliate products that I trust and believe would bring value to my readers. DISCLAIMER: Carol Lovett is a certified crystal healer through the Hibiscus Moon Certified Crystal Course. Carol is not a doctor, registered dietitian, psychotherapist, nutritionist or psychologist. Carol is considered alternative or complementary by Western health care professionals and does not replace conventional or current health treatment. Carol does not provide medical diagnosis, or consultations related to health, medical, or psychiatric issues. It is expected that you will take full responsibility for your own health and well-being and accept the outcomes of any advice or treatment received. You will also liaise with your health care professions when it comes to medication, supplements and your diet. The information contained on the website [ditchthewheat.com] and accompanying blog, including ideas, suggestions, techniques, articles, and other materials, is provided to you only as general information. Any information, stories, examples, or testimonials presented on this website do not constitute a warranty, guarantee, or prediction regarding the outcome of a session by Carol. DISCLOSURE: Ditch the Wheat is a participant in the Amazon Services LLC Associates Program. As an Amazon Associate I earn from qualifying purchases. I may receive monetary compensation or other types of remuneration for my endorsement, recommendation, testimonial and/or link to any products or services from this blog. I only endorse products that believe in. Just wanted to say I love the new web site! We started a grain and sugar free lifestyle a couple of years ago to help with my Rheumatoid Arthritis and it changed my life! Well your website makeover looks very nice. I like the pictures. I am new here so haven’t got to look at much yet (i’m so busy with the last of the getting the garden in stuff), but I think I need to investigate this “resistant starch” topic and also be convinced that i should try this gluten free stuff. I’m sorry you don’t even have your own vitamix blender yet. I don’t either but you are giving one away so that is kind of sad. Wow what an amazing giveaway, thank you!! Thank you for the chance to win a Vitamix. I would really enjoy it!! !